Smartwatches are the trendiest gadgets at present. Pebble for iPhone allows us to connect the models of that brand with this smartphone by Bluetooth. Therefore, we'll be able to have all sorts of notifications on our smartwatch, including the calls, messages or emails that arrive on our phone, without needing to be constantly looking at its screen. Keep your iPhone and smartwatch synchronized. 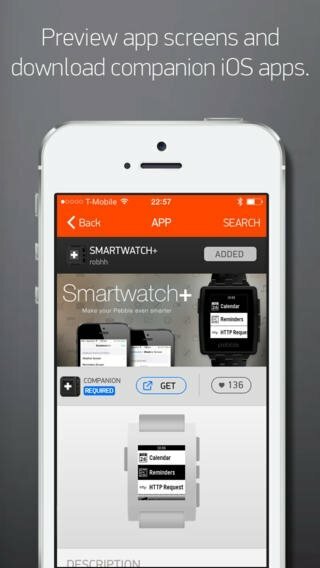 Receive phone notifications on your watch. 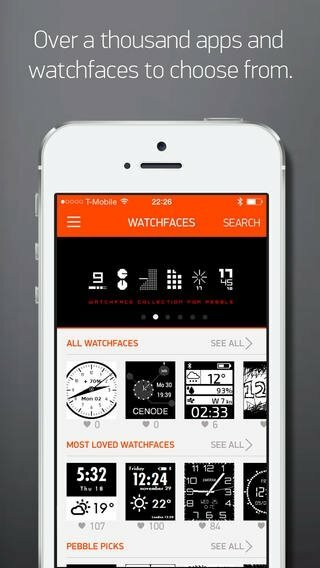 Browse and download the applications available for your smartwatch. Discover the most popular apps sorted by categories. Block notifications whenever you don't need them. 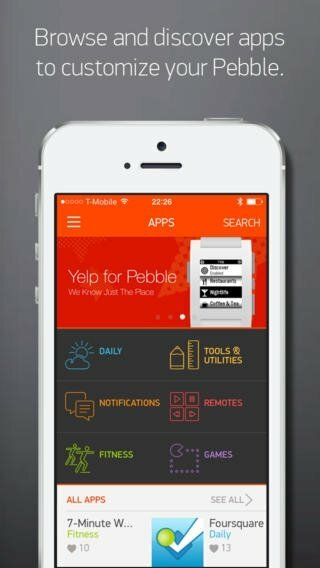 Download Pebble Smartwatch and get hold of all the information and notifications about your iPhone's activities on your watch. Compatible with iPhone, iPad Wi-Fi (3rd generation), iPad Wi-Fi + Cellular (3rd generation), iPad Wi-Fi (4th generation), iPad Wi-Fi + Cellular (4th generation), iPad mini Wi-Fi, iPad mini Wi-Fi + Cellular, iPad Air, iPad Air Wi-Fi + Cellular, iPad mini 2, iPad mini 2 Wi-Fi + Cellular, iPad Air 2, iPad Air 2 Wi-Fi + Cellular, iPad mini 3, iPad mini 3 Wi-Fi + Cellular, iPad mini 4, iPad mini 4 Wi-Fi + Cellular, 12.9-inch iPad Pro, 12.9-inch iPad Pro Wi-Fi + Cellular, 9.7-inch iPad Pro, 9.7-inch iPad Pro Wi-Fi + Cellular, and iPod touch. 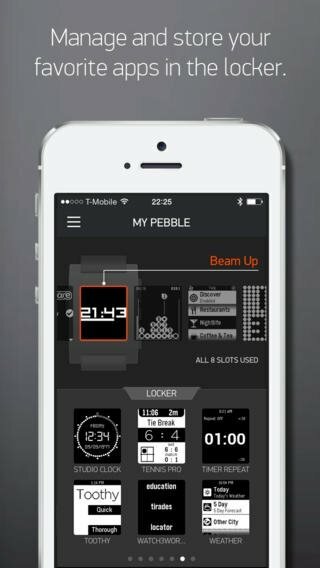 This application has been designed for Pebble smartwatches.